Should I move my site from SBI? For website owners who invested a lot of effort building an SBI site, it can be a gut-wrenching decision to move. Why is it so hard to leave SBI compared to other web hosts? I think it’s because of the emotional and social ties you develop. Like it or not, SBI is unique. It’s more like belonging to a club than buying services from a vendor. Here are my recommendations for each group and several other issues to consider before making your final decision. These are SBIers who are not technically inclined and depend on the forums for help. They have no interest in or have difficulty learning HTML or the technical aspects of running a website. OR, they are socially engaged… they have lots of friends in the forums, attend conferences, and are very much a part of the culture of SBI. If you are this type of SBIer, I recommend you stay at SBI. If you are not technically inclined or have no interest in learning a new system, you will have difficulty running your site after the move. This is true whether you move to WordPress or some other platform. That means you may have to hire someone to handle the routine technical tasks, which can get very expensive over time. If you move to avoid the $300/year fee, you won’t save any money if you regularly pay a webmaster for help. These are technically inclined people. They most likely upload their own site (UYOH) and know some HTML and CSS. They know how to research outside SBI to find the help they need. Usually, they like SBI but get frustrated with it from time to time. They like to add 3rd party tools to their sites and don’t have a lot of trouble doing it. They are often the “helpers” in the SBI forums. Overall, they like SBI but are curious about WordPress. If this is you, my recommendation is to create a practice site on WordPress to get the feel of it. Learn WordPress then compare the functionality between WP and SBI. What functionality do you miss? What can you do with WordPress that you can’t do with SBI? If you learn WP quickly and don’t miss the SiteBuildIt tools, you are a good candidate for a site move. If you decide to move your site, don’t forget you can sign up for bizXpress Pro to have access to tools like Brainstormer. If you don’t want to pay, the free version allows you access to the forums for a limited time so you can ask questions. If you use WordPress for a few months and still have a hard time with it or with your web hosting dashboard, I suggest staying at SBI for now. But keep working with WordPress. You will eventually learn it, just like you learned SBI. These are people who are unhappy with the SBI tools or culture. They don’t like to participate in the forums. They are frustrated with the tools. Sometimes they are angry. Really angry. If you are in this category, I say pack up your site and move. Life is short. Find a platform and web host you like and take action. You will be happier and your site and business will be better for it. Of course, move your site the RIGHT way. Don’t just yank your domain name away and cancel your account. Your site will be down for weeks or months. If you need help, I offer site move services. If you can’t afford to pay for help, learn WordPress and work on your new site in your spare time. Most of my clients want to move because of the high cost of hosting at SBI. That’s legitimate. Just be sure to calculate the actual yearly cost of running your site elsewhere. You can replace most SBI tools using freebies. However, if you plan to pay for 3rd party resources, such as Aweber, WordTracker, or a premium theme, you need to add those fees to the cost of web hosting and domain registration. You may not see much of a cost savings unless you are moving more than one site. If your website is attached to an offline business, you may need to write off the moving costs as a necessary expense to get the increased functionality in WordPress if SBI isn’t meeting your needs. If your site is a large hobby or informational site that doesn’t make much money, you should consider learning WordPress and moving the content yourself instead of paying someone. Is your site 300-400 pages? Or did you build your site primarily using Content 2.0? If so and you plan to pay someone to do the entire move for you, it will be expensive. Make sure you calculate the yearly cost savings compared to moving costs. If you pay someone thousands of dollars to move your site to save $100 a year, it will take years to recover your investment unless you have a plan to increase your profits after the move. Moving an SBI site is a lot of work, especially if you plan to move it to WordPress. If you pay someone to move it for you, it can be expensive. 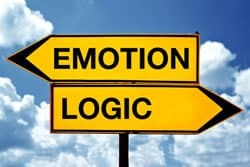 We are often attached to our websites so it is hard to disengage our emotions from the decision-making process and think it through logically. If you make an emotional decision, you run the risk of making a mistake. Make the decision based on what is best for your future and your finances. If your site is poorly written or isn’t in a profitable niche, you need to seriously consider if it is worth moving it. Moving away from SBI isn’t going to change anything if you carry the same problems over to WordPress. Sometimes the best route is to abandon your website and start over with a new one. Especially if you chose a niche you can’t monetize. There is no sense wasting time, money, and effort on a losing battle. Still confused? Please share your thoughts in the comments section below. Or request a consultation so we can talk about your situation privately. Is SBI Right for Your Local Business Website?